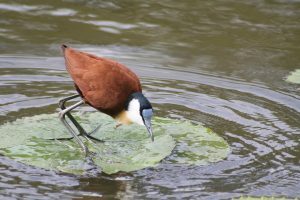 The Kruger Park bird checklist is here to download for free. You do not need to sign up or anything! Just click the download button and it’s yours! There have been over 530 bird species recorded in the Kruger national Park. There are around 450 species that are regularly seen and 80 which have been seen a few times, or ones that are vagrants, which have been recorded in the Park. 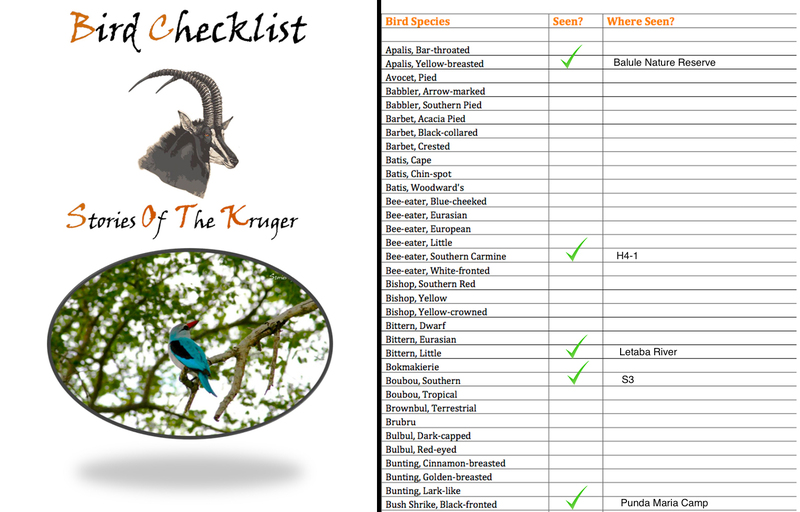 This checklist was compiled by us here at Stories Of The Kruger, and we hope it helps you on your travels to the Park. The Kruger National Park is known as one of the best birding places on the continent because of it’s size and huge variety of different habitats. These different ecozones attract over 500 species of birds to the Kruger every year. Birds from the common Cape-turtle Dove to the rare Pel’s Fishing Owl can all be seen within the Kruger Park’s boundaries. Birders come from all over the globe to experience the huge birdlife potential the park offers. The mammals, reptiles and amphibians, plants, fish, insects and arachnids are just a bonus! Birding and bird watching has been a passion of mine since I was very young, and there are almost too many birds to see in the Kruger national Park while you are driving. You can literally be stopped every 100 meters or so by something special. We have a bird species playlist with bird calls, images and videos on our Stories Of The Kruger YouTube channel for any of those who are interested.